I recently spent a day at Olbrich Botanical Gardens, soaking up lots of sunshine, plants and color. There was such a wonderful variety of trees, shrubs, flowers, statues, and structures to admire so I took lots of photos. This photo is one of my favorites. 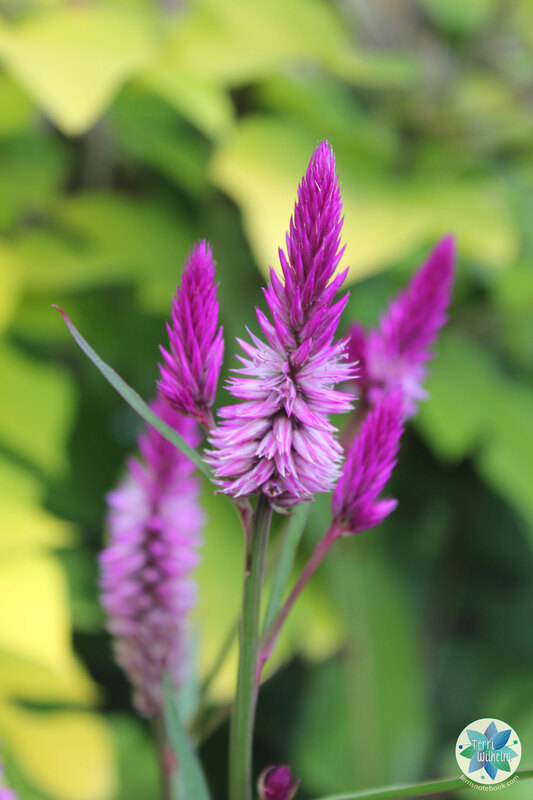 The flower is called a Celosia Intenz, thanks to my mom for helping identify it for me. I especially love the color but also the shape of the flower stem. It normally grows in zone 10 climate. Since I live in zone 4-5, this is an annual, which grows well in full sun and adds great height and texture to containers. Aren’t Mum’s the best. I checked out the link to the garden, beautiful. Love the idea of the library as well, it would be hard to keep me out of there. Thanks so much Bev! Yes, I’m so thankful my mom is a master gardener! She’s such a great resource and inspiration. Thanks Cindy. I adore these flowers, especially the colors.